The magnificent garden tomb, Maqbara-e-Humayun (or Humayun’s Tomb) is great example of Mughal architecture in India inspired by Persian style of architecture. The garden tomb built in 1570 is first of its kind and hence is of a particular cultural significance. Persian and Indian craftsman worked together to build the grand mausoleum. 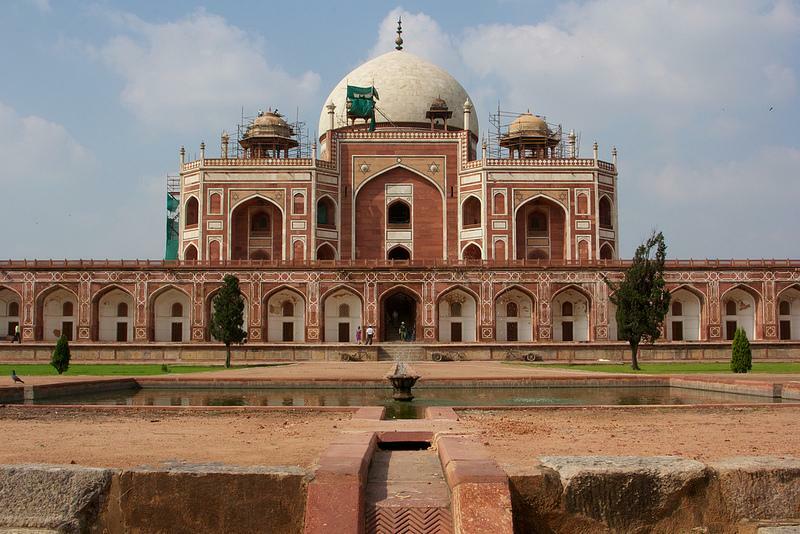 The construction of the mausoleum was commissioned by Hamida Begum, the eldest wife of Humayun. On an estimate, 15 lakh rupees were spent on the tomb’s construction. Humayun’s Tomb is also called the ‘dormitory of the Mughals’, as buried in the cells. The mausoleum is built close to the Nizamuddin Dargah the much revered mausoleum of the celebrated saint, Nizamuddin Auliya. It is a UNESCO World Heritage Site since 1993. 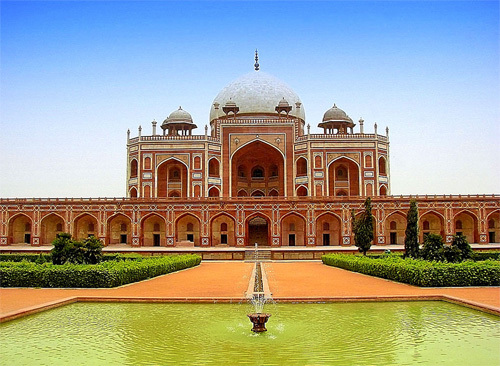 A visitor to Delhi must walk through the garden in front of the tomb and explore this impressive edifice so as to fully enjoy the Mughal Architecture. Humayun’s Tomb was the first grand dynastic mausoleum. 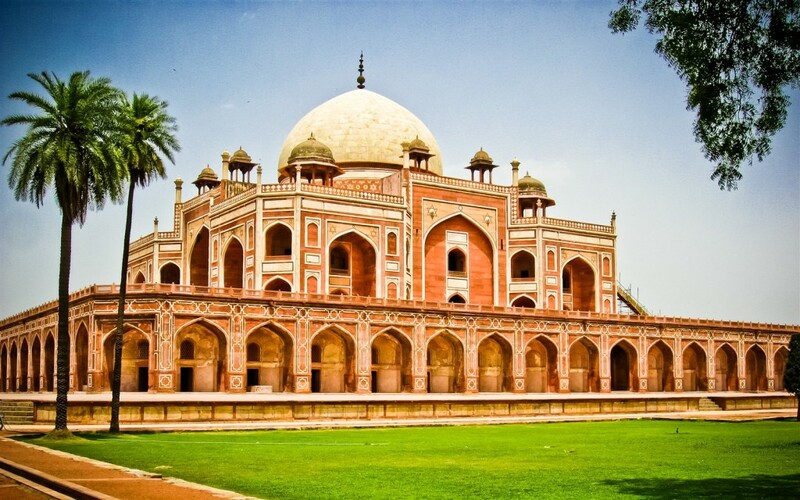 Fourteen years after the death of Humayun, the tomb was built in 1560’s. The construction of the tomb was commenced in 1505 by Hamida Begum, Humayun’s widow during the patronage of his son, the great emperor Akbar. The mausoleum was inspired from Gur-e-Amir, the tomb of Humayun’s ancestor and conqueror of Asia-Timur. Mirak Mirza Ghiyath who designed the mausoleum chosen to be the architect also but due to his unfortunate death the construction work was complete in the supervision of his son Syed Mohammad Ibn Mirak Ghiyathuddin during the early 1970’s. 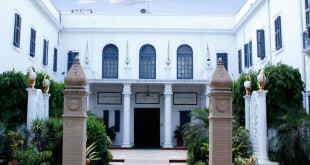 The mausoleum was constructed at a cost of 15 lakh rupees. The location of the mausoleum was chosen to be at the banks of Yamuna river due to the auspicious Nizamuddin Dargah in its proximity. The mausoleum also hold the tombs of other Mughal family members and even few non Mughals. The structure also houses the tomb of Emperor’s favourite barber, now commonly known as Nai Ka Gumbad (Barber’s Dome). The last Mughal Emperor Bahadur Shah Zafar took during the wars with British in 1857. The grand tomb was built, taking Persian architecture as the basic inspiration. The mausoleum was designed by the Persian architect Mirah Mirza Ghiyath. The tomb reaches a height of 47 meters and is 91 meters wide. 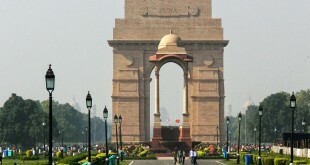 It was the first Indian monument to use the Persian double dome on a high neck drum. The square red sandstone double-storeyed structure of the mausoleum with chamfered corners rises from a 7 m high square terrace with two bay deep vaulted cells on all four sides. The tomb is built with black and white marble and red sandstone. The garden can be entered from lofty gateways in the south and from the west with pavilions located in the centre of the eastern and northern walls. The mausoleum is surmounted by a 42.5 m high double dome clad with marble flanked by pillared kiosks (chattris) and the domes of the central kiosks are adorned with glazed ceramic tiles. The dome bears a top of 6 m high bread finial ending in a crescent. The interior of the tomb is a large octagonal chamber with vaulted roof compartments interconnected by corridors. The central octagonal chamber contains the cenotaph, encompassed octagonal chambers at the diagonals and arched lobbies on the sides. Their openings are covered with perforated screens. 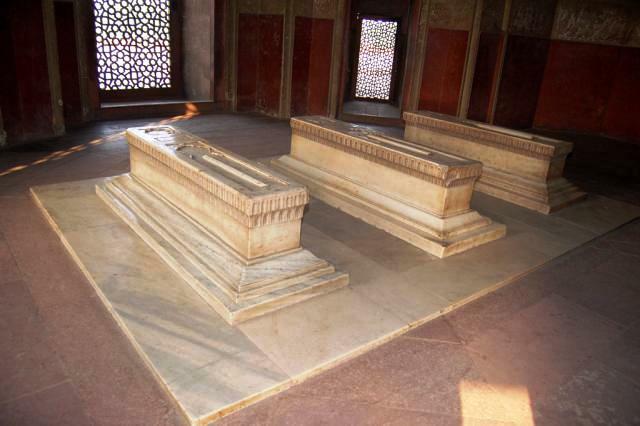 You will also see the Baradari (pavilion) and a hammam (bath chamber) inside the Humayun’s tomb. The garden tomb stands in the centre of a beautiful lush garden of 30 acres. 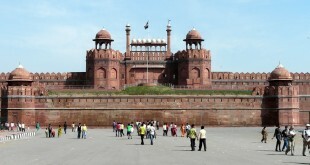 The garden is divided into four parts by pathways hence it is called the Charbagh. The various water channels for the fountains in the garden make this place a true architectural delight. Maqbara-e-Humayun is located near the crossing of Mathura road and Lodhi road in the capital city – Delhi. It stands opposite to the Nizamuddin Dargah. The location of the tomb near the auspicious place and in the capital city makes it all the more accessible from anywhere. You can take the JLN Metro station being the nearest to the place. Delhi is connected finely through roadways, railways and airways. The entry fee for Indians is Rs.10 per person and for Foreign tourists Rs.250 per person. Extra charges apply for videography which is Rs.25 power camera. No charges apply for children below 15 years. The mausoleum is open for visitors from sunrise to sunset throughout the week. The best time to visit the tomb will be during October and March due to the pleasant weather.